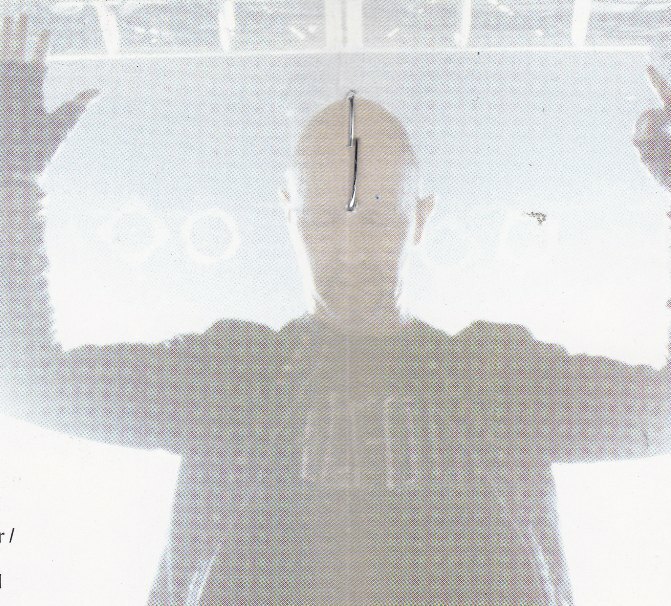 Part 3 of a miniseries on Rob Halford’s solo career! Missed the last part, Mutations? Click here! Russ Parrish was out, and in came youngster Mark Chaussee. This change negated one thing I loved about Fight, which was the interplay between two different guitar players. Chausee and Tilse are too similar in tone, and so the followup album A Small Deadly Space renders me deaf if I try to listen to it in one sitting. The mix on this album bothers me, it has so much bottom end, but then not enough on top to balance it. I don’t like the vocal effects that reduce the power of Rob’s voice. 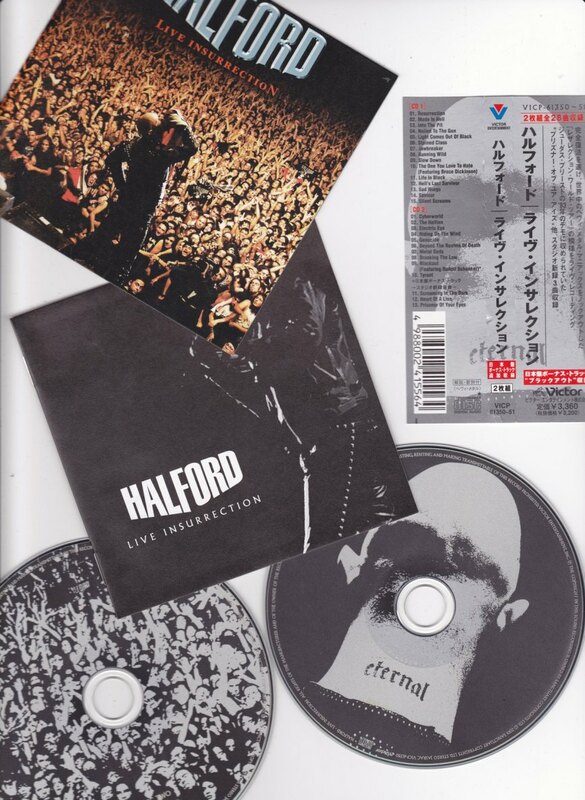 Halford doesn’t scream much on A Small Deadly Space. The songs are powerful enough, and this time Rob is writing with his bandmates. The opener “I Am Alive” is slow and massive, unlike anything on War of Words. “Mouthpiece” is different yet again, with a slippery riff and an accelerated pace. “Blowout in the Radio Room” is actually psychedelic metal. 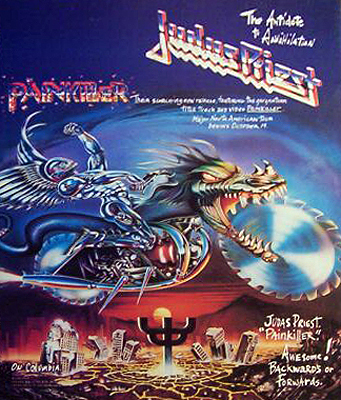 Halford sings about how music gets him high, and goes for a tripping druggy sonic assault. The guitar solos are straight out of the Hendrixian Book of Knowledge, it’s just great. 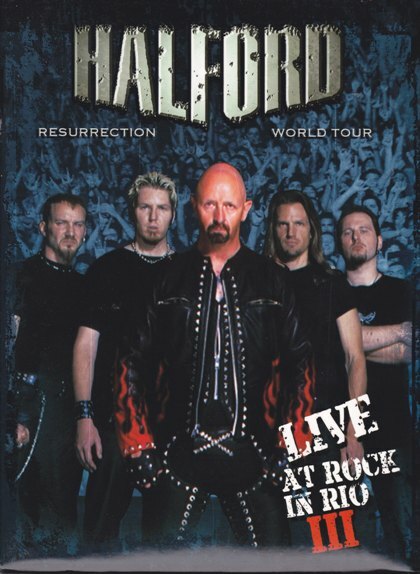 “Never Again” is one of the few moments of Halford screams, and it’s like an injection of adrenaline! This is a Priest-quality album track. I still think of CDs in terms of being albums, of having a “side one” and a “side two”, and to me this sounds like a natural break between two album sides. I like side one, but side two wears on me. The title track has a wicked wicked cool sounding guitar solo, but it’s just one lick that repeats four times. Typical 90’s simplicity. Then there’s “Gretna Greene”. The lyrical matter is that of abuse, but unfortunately this very important subject is relegated to the back seat by the title of the song. Yes, it’s an O.J. Simpson trial reference. That wouldn’t matter so much if the music stood up, but this song is pretty boring. They stay that way until “Human Crate”, which is slower but a really cool song with powerful vocals. 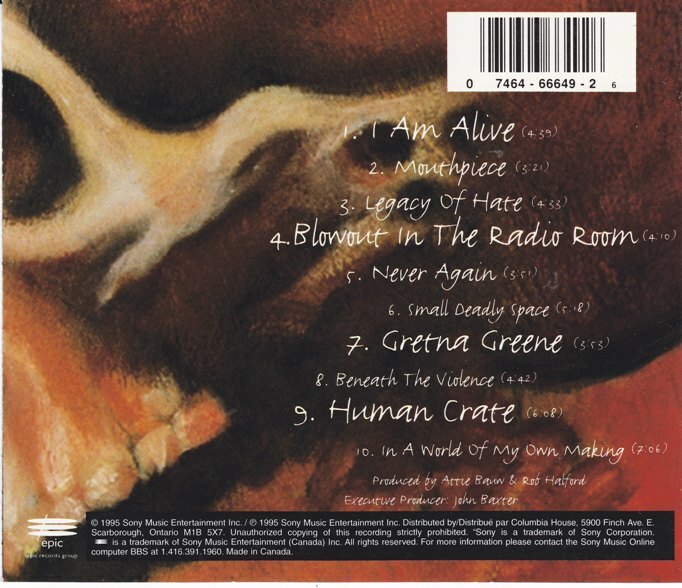 The album ends with a ballad, “In A World of My Own Making”. For the first two minutes it’s just a piano, and Rob. 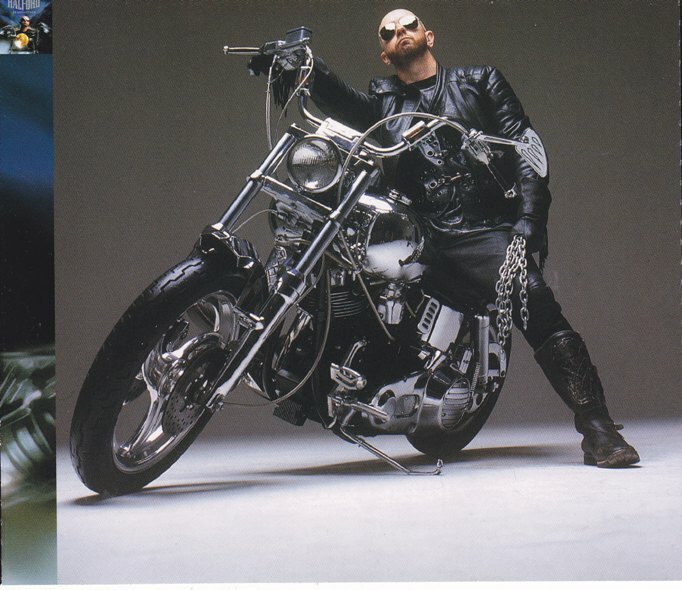 It’s a side of Halford rarely heard. Then the band comes in, and it becomes a slant on “Beyond the Realms of Death”. Except…with flat sounding drums and brittle guitars. But that’s not all, there’s also the super hard to find secret bonus track, “Psycho Suicide”. It’s noisy and tuneless, but it sure is heavy, and I kinda like it. So, I think I’ve been clear that I’m not a fan of the mix of this CD. A Small Deadly Space was remixed as part of the 2008 Into the Pit box set. As I get along in this series of reviews, I’ll revisit that box set and see if this album makes a new impression on me.